This article will describe installing Zabbix which is a web-base system monitor tool. The following script will install Zabbix server and Zabbix agent. You need to use "localhost" as Zabbix agent host name (Configuration -> Hosts -> Create Host). MySQL and ZABBIX_PASSWD is password of zabbix user in MySQL. # MYSQL_PASSWD is not used. 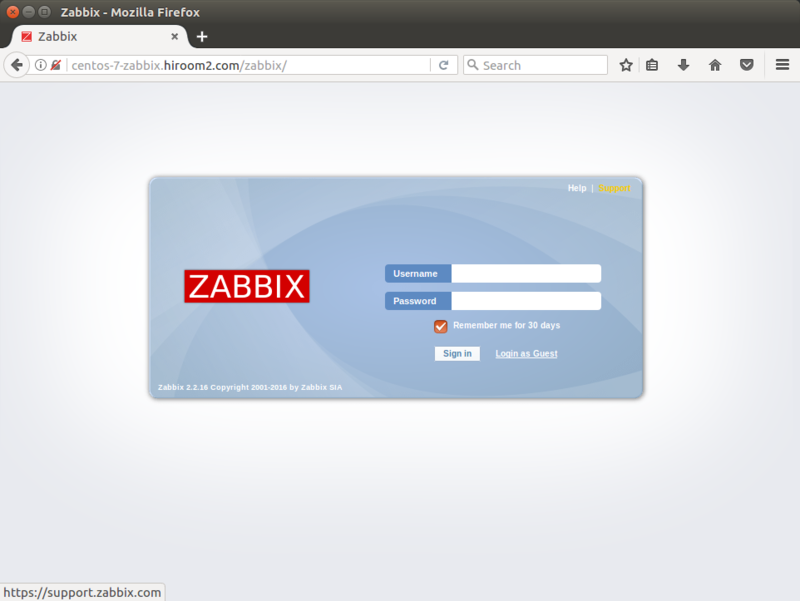 Access to Zabbix via http or https. If you use https, please allow certification file to exception. Input Admin to Username, zabbix to Passowrd (This passowrd is not ZABBIX_PASSWD).